Royal Mauian 318 has the TMK 2-3-9-5-10-52. This is a 3-bedroom / 2-bathroom unit, offering a floor plan with 1324 interior square feet plus 252 square feet on the lanai. These 3-bedroom units in the Royal Mauian are a real treat! Out of 107 Kihei Condos in this complex, there are only a dozen of this floor plan, only 6 are straight west facing, REAL oceanfront! If there is one for sale, it happens not more then every 8 to 10 years or so. Like a diamond, they are absolutely unique in value. Royal Mauian 318, Kihei, Maui, Hawaii. 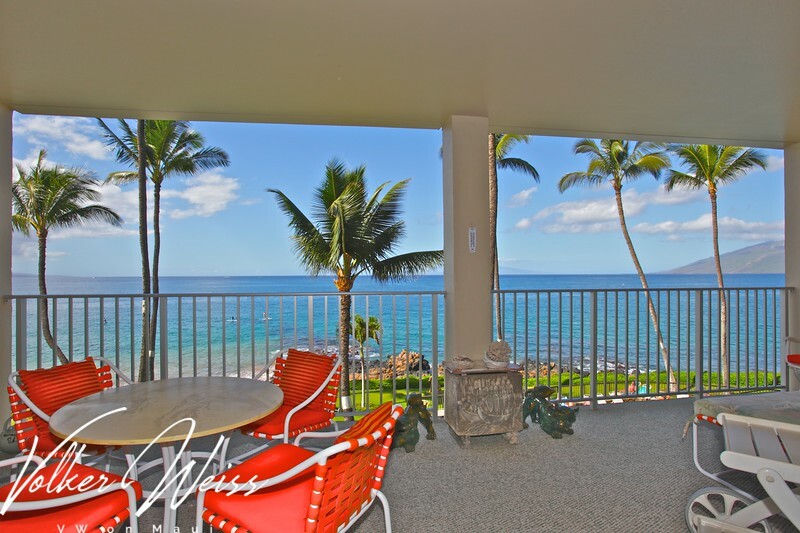 Kihei Real Estate and Kihei Condos including the Royal Mauian in South Maui are viewed best online at 1MauiRealEstate.